The prevailing view of disability in times past was a medical one, where the individual was seen as ill and their condition was a problem with the individual. Perceptions of disability were also based on fear of difference and a perceived need to be “normal”. These negative views influenced the way people interacted with individuals with disabilities and impacted the way people with disabilities viewed their own roles in society, including their involvement in sport. In more recent times, there has been a push to promote a social rather than medical perspective on disability. The social view show us that people with disabilities are less restricted by their own impairments than by the barriers put on them by the society. This change in thinking has led to people having the right to access and participate in all levels of society, including sport. But as more individuals with disabilities have engaged in sport, and have been showcased in events such as the Paralympics, has this changed perceptions of disability? 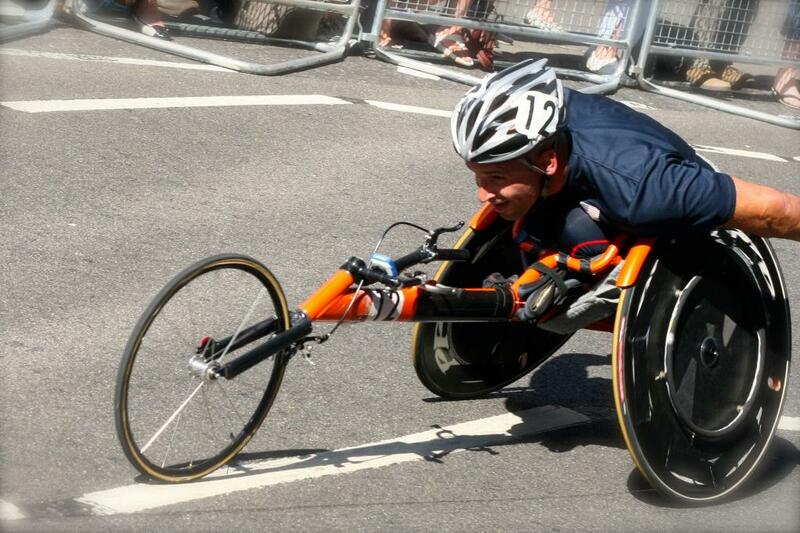 Media coverage of Paralympic games has helped change societal perspectives. There was some criticism of the coverage of the earlier games as being patronising, but “pitying” language is becoming less common in media coverage today. Unfortunately, a notable exception is the recent statement by Brazilian journalist Joaquim Vieira, who called the games a “grotesque spectacle” and “a circus act … to fill the agenda of political correctness”. This comment shows that some individuals – including some journalists – are still lagging when it comes to encouraging a change in societal attitudes towards disability. The portrayal of positive life stories is one way of changing negative views, as was the case with British wheelchair tennis player Lucy Shuker. This is where the Paralympics becomes an important vehicle for changing societal perceptions as there are many positive stories on show. As Paralympians receive more medals, they are viewed by many people, including policy makers, as heroes who have overcome adversity. As potential “heroes”, Paralympic athletes are not only role models for other aspiring athletes, especially for those with a disability, but are also admired by society as a whole for their achievements. Some notable role models include those who have won medals as well as gaining other mainstream awards. One example is the University of the Sunshine Coast’s student and swimmer Blake Cochrane, who has a world record and two gold medals from the London Paralympics, and a recent silver medal at Rio. He is the first person to win back-to-back university sportsperson of the year awards. This feat shows that para-athletes are now increasingly being judged alongside other sporting peers with or without a disability. Another swimmer, Ellie Simmonds from Britain, received an OBE for her many achievements in Paralympic sport. There are also those who have had success in both Paralympic arena the mainstream Olympic arena. One example is Natalie du Toit and Australia’s own Melissa Tapper. Melissa is currently competing in Rio and is the first Australian to have competed in both games. Potentially even more influential are people like Abdellatif Baka of Algeria, who won the T13 1,500m in a new Paralympic and Olympic world record time. The Paralympics have not only changed attitudes in the sporting arena. Another example of a role model changing perceptions is Australian comedian, writer and broadcaster Adam Hills, who also has a disability. He has achieved mainstream success as presenter of the UK show The Last Leg, which stemmed from being involved in a panel show for the 2012 London Paralympics. In addition to being sporting role models, another important role for that Paralympic athletes can undertake is to use their profile for political activism. In doing so they can enhance societal change through continuing to highlight the ongoing inequalities faced by people with disabilities. The Paralympic Games showcases athletes at the pinnacle of sport, yet is it a reminder that sport at the highest level should be accessible to all people.